White Chocolate Bunny Ears: Taylor Swift. Red (2012). I don’t usually review music this mainstream but I’ve really been enjoying Red, listening to it over and over. Taylor Swift has sounded a lot better since she straightened her hair. She’s getting a lot of flak for using her ex boyfriends as song material. Since when was that considered poor taste? Someone forgot to tell Leonard Cohen, Carly Simon, and a billion other singer songwriters over the last 50 years. Oh, heck, let’s go back to the Middle Ages and let those troubadours know they crossed the line of accepted decorum. As I listen to Red the fifth or sixth time, I keep going back to the little CD booklet to check, did TS write this one? And this one too? By herself? Damn, she’s good. 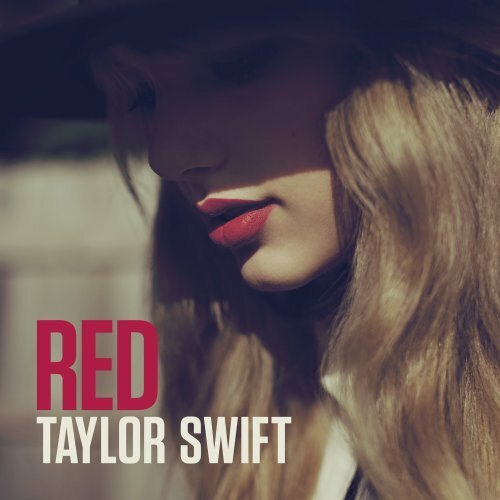 In fact the best songs on Red are the ones she wrote all by her lonesome. If I could make any criticism, the album is a bit too long. It could have been improved by dropping the collaborations with Gary Lightbody from Snow Patrol, and Ed Sheeran. Those two tracks seem labored and unnecessary. They stall the pace of the album. I have no idea why they’re even there. Going through Red from beginning to end feels very much like a series of memorable scenes from unmade movies. There is a hint of a story, and some parts are out of sequence, but it adds up to a kind of accumulated experience. Red is all about how the emotional impressions made during early relationships have a significance and vividness that seem life-transforming. And Taylor makes those observations with a razored sharpness. That kind of stuff pales as you get older, but Red brings me back to what it was like when I was her age. Taylor, you did good, don’t let the bastards get you down.